Here are some books that are often recommended for DS users and a few that I've thrown in that may be of interest to some of you. Thanks. 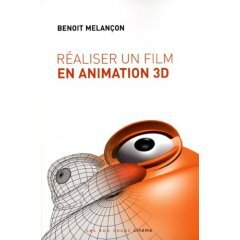 Realiser un film en animation 3D by Benoit Melancon. Encyclopedia of Visual Effects (Apple Pro Training) by Damian Allen, Brian Connor. The Art and Science of Digital Compositing - 2nd Edition by Ron Brinkmann. Digital Compositing for Film and Video (2nd Edition) by Steve Wright. The Art and Technique of Digital Color Correction by Steve Hullfish. Color Correction for Digital Video by Steve Hullfish, Jamie Fowler. Producing Great Sound for Digital Video and Audio Postproduction for Digital Video by Jay Rose. Sound for Film and Television and Sound for Digital Video by Tomlinson Holman. High Definition Postproduction: Editing and Delivering HD Video by Steven Browne. DV Rebel's Guide by Stu Maschwitz. Droidmaker: George Lucas and the Digital Revolution by Michael Rubin.